Learn Irish in the Heart of the Connemara Gaeltacht! Coláiste Naomh Éanna is an Irish Language College in An Spidéal in Connemara. 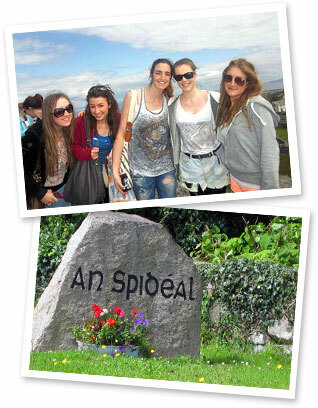 An Spidéal has a strong tradition of folklore, music and culture and the Irish language is spoken by young and old. In Coláiste Naomh Éannna, learners are totally and naturally immersed in the Irish language making language learning and language acquisition easier. Our website contains information on our current Irish Language courses and application forms to apply for any our our courses. If you have any queries or would like more information, please contact us!